As a restaurant owner, you have a lot to be proud of. But how often can you brag about your business to a large group of people at once? Odds are, the answer is never. But what if there was a way you could do this daily? Well with Facebook, you can! As one of the most powerful platforms on the web, Facebook is the perfect tool to connect with both repeat and potential customers. 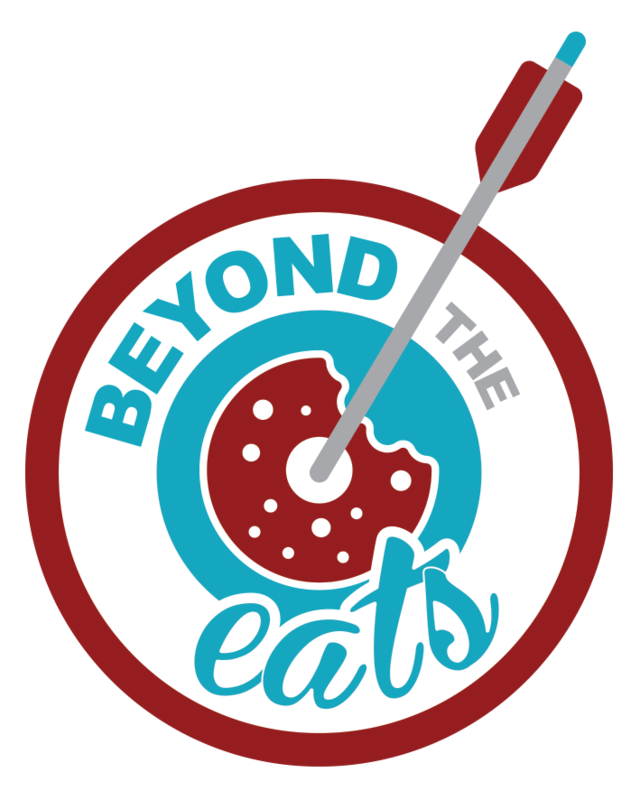 It gives you the opportunity to create a buzz about your food, service, venue, or whatever it is that makes you unique from others in the industry and other food establishments in your local area. By posting the right content, you can create some serious word of mouth that will make customers come through your doors on what will feel like autopilot. When customers visit your restaurant, you want them to have a memorable experience. With Facebook, you can start creating that environment before they ever walk through the door, in fact, you should be creating that environment before they walk through the door because it’s likely that people are looking at your online presence. This is done by allowing people to “meet” your staff, peek at your menu items, and check-out your events all online. Facebook is such a simple platform that it takes just a few minutes to post awesome content that won’t consume your day. However, it’s important that you’re posting consistently with content that matters to your customers. You should be building excitement for their upcoming visits and anticipation for what you might post next. Fortunately, as a restaurant, this is easy to do because of the variety of features available to showcase. In fact, you could even implement a daily theme to make content creation easy and fun. You could try How-it’s-Made Monday, Take a Tour Tuesday, or any theme that allows you to show people what you have to offer. Build a content calendar that excites your customers and makes your job just a little bit easier. So you still aren’t quite sure you have enough to share on your Facebook page? 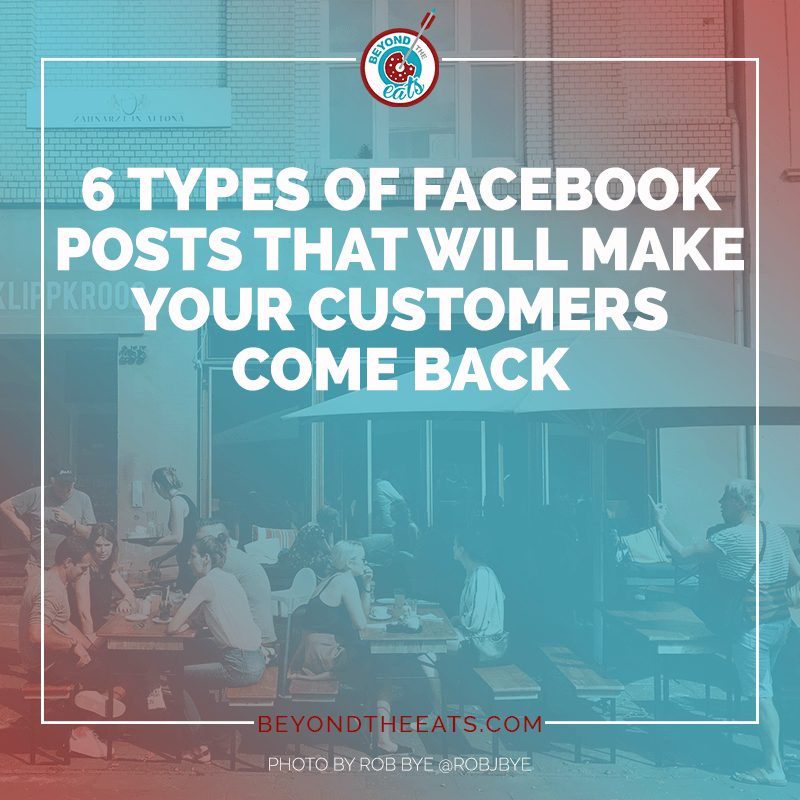 Let’s take a look at 6 content ideas that any restaurant can utilize on Facebook today. Your food is great and your service, top-notch. So why not let people know who makes that happen? Human capital is a very powerful asset today, and Facebook is a great place to flaunt your staff. This can help boost engagement on your page and bring in new fans, expanding your network rapidly. Featuring your employees can also boost your company’s overall morale, allowing your staff to feel appreciated for their work. So go ahead, get personal and share photos and facts about your team members. Where are they from? What hobbies are they interested in? Share the things that people might not know about them. The goal here is to make your potential and repeat customers feel like they know you and your team. Include the information that makes them unique and valuable to your staff. You can also go a step further and showcase their talents in the workplace. Take some action shots or a short video of them at work. You can also use this opportunity to demonstrate initiatives and volunteer work that your company or employees are involved with. Allow your customers to know what causes are important to you and how you are giving back to your community. 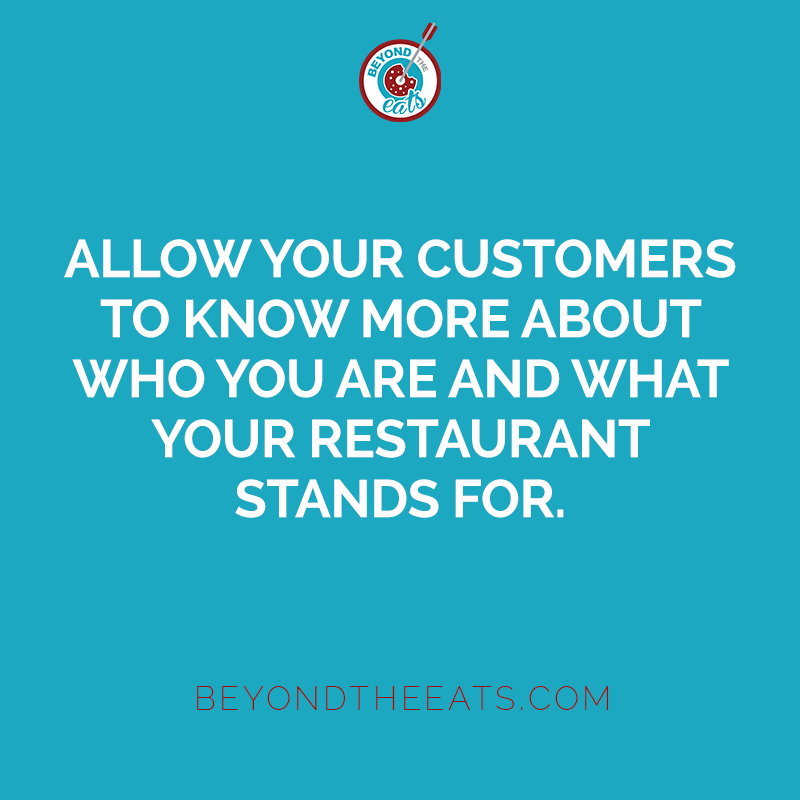 Allow your customers to know more about who you are and the things you stand for. Who doesn’t like a good behind the scenes action or a “how this is done” type of post? People love when you demystify things that seem complicated or unexplainable. No matter what it is that makes your building unique, a photo or video tour can spark customers curiosity. 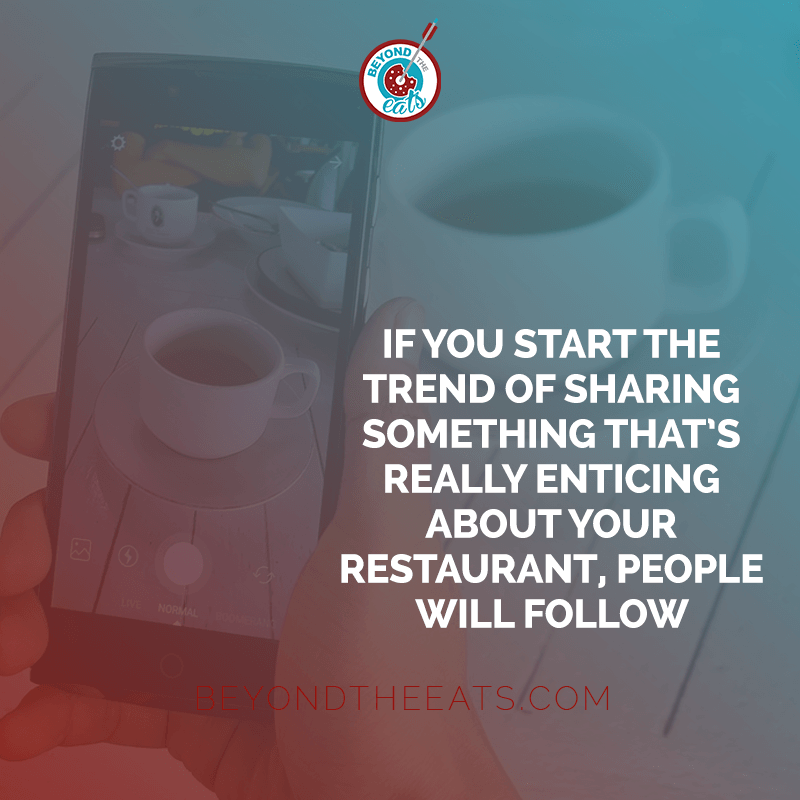 If you start the trend of sharing something that’s really enticing about your restaurant, people will follow. In addition, be sure to share a little behind-the-scenes glimpse of your day-to-day operations. Simple things like sharing photos of your staff restocking shelves or opening up the restaurant. In today’s world, the general public appreciates transparency and this will help humanize your brand into one that people continuously support thanks to a connection that feels personal. We’ve all seen it. Photos of the perfect steak or massive slice of pizza. They make your mouth water and tummy rumble on sight! People eat with their eyes first, so sharing a photo of your signature dishes is the perfect way to bring new customers to the table. This is also a great way to introduce new menu items or a daily special. But it’s important that your photo is high-quality and looks visually appealing. 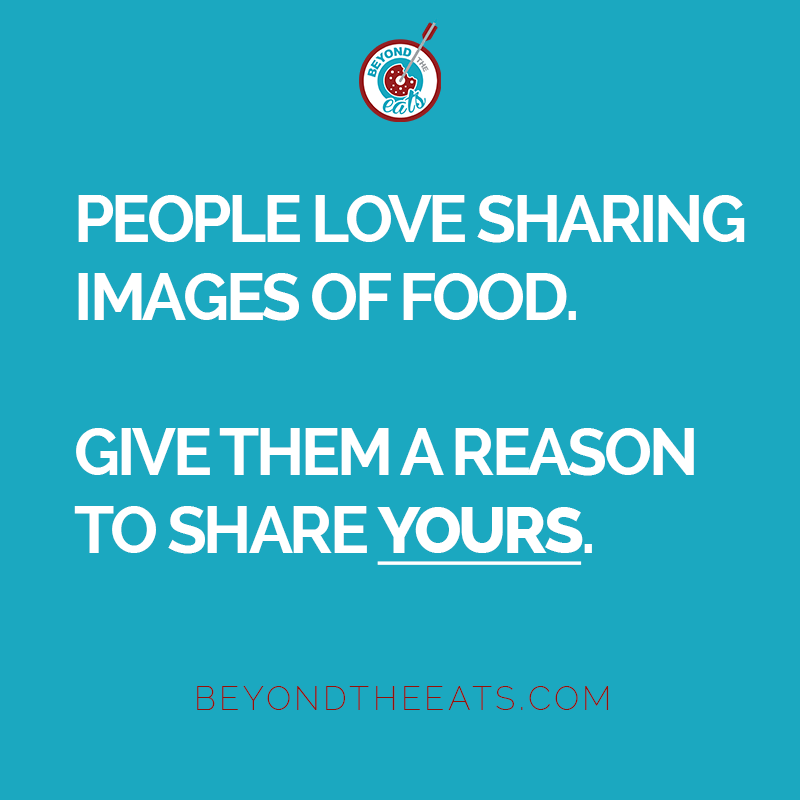 Poor photos can be the deciding factor on whether someone wants to try your food or head to a different restaurant down the street. I know a lot of people who choose whether or not they want to go to a restaurant based on the pictures alone! I’m sure you do too. There is a lot that goes into owning a restaurant, but the one thing you can’t do without are your customers. So why not show them some appreciation! People love free stuff, whether it’s merchandise or a discount. By providing special offers to your fans on Facebook, you are encouraging them to interact with your page and visit your restaurant. Talk about a win, win. You can also increase engagement by hosting contests and giveaways with entry granted to people who interact with your posts. Always remember that customers can be your greatest advocates and ultimately do promotion for you! 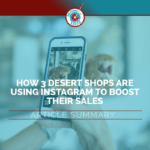 Their reviews, photos, and posts, better known as “user-generated content” (UGC), is not only free to you but also genuine to other consumers who might see it. These are photos that feature other people enjoying your food or establishment. Using photos and videos that are straight from your customers (UGC) is an easy way to fill your content calendar with high-quality posts. But be sure you have permission to repost before you flood your feed with your customer’s selfies and #hashtags. You can get permission by simply messaging the person whose photo you’d like to post. How-to videos are a secret to getting customers to interact with your page because they get something valuable from watching. Own a burger restaurant? Show people how to make the perfect at-home burger. Own a pizza restaurant? Give a tutorial, showing how to stretch pizza dough. Customize the videos to your skill set and provide information that is valuable to your customer so that it’s a win on both sides! These videos work well because the person watching gets something from the videos that you’re putting out there. In a later post, I’ll be explaining how to reach the people who watched this video on Facebook through advertising. People are always celebrating something. If your idea tank is running low, feel free to take a look at the national day’s calendar to add to your pages schedule. 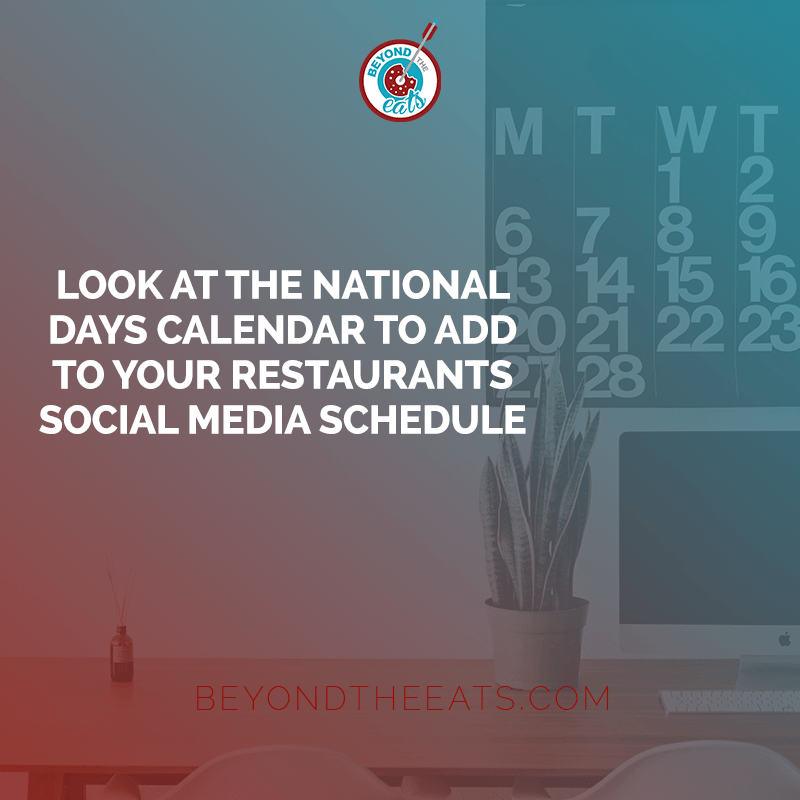 Whether it’s national cupcake day, national cheeseburger day, or anything in between, find a way to work it into your daily posts for an easy way to fill specific days with content. You can even plan promotions around these. Take advantage of the fact that the days already exist and that your customers likely have no idea that they’re coming up! Make it fun, make it fresh but don’t overdo it. You can also use actual holidays as a way to engage with your customers. Fortunately, since you know when these are each year, you can plan ahead to create quality posts. You can also encourage people to share their traditions with you to connect with customers and create a 2-way conversation. With over a billion users, Facebook’s potential is limitless. It can be the number one channel to acquire new customers if done correctly. However, in order to guarantee results, you may need to “pay to play” and put a small advertising budget behind your posts. With the amount of content created on Facebook daily, it can be difficult to reach your audience organically. With just a few dollars a week, you can reach thousands of people within your desired demographic or geographic location. It may sound crazy to pay for a free social media platform but the results are worth every penny! Now on to you! What have you seen work in your business on Facebook? Is there anything I missed that you like? 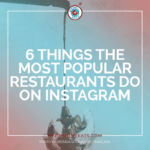 If you’re wondering what you can post to your restaurant’s Instagram, look no further than here. I’m scheduling FREE, no BS, ask me anything about restaurant marketing 15-minute sessions. Click here to schedule your time. Download this post as a PDF now.